Eye care professionals specialize in understanding how the human eye really works, as well as diseases and conditions that affect your vision – many of which do not have obvious symptoms. Our doctors know how age and risk factors affect vision over time for young and old, and they understand the benefits and features of corrective lenses with eyeglasses and contacts. Dr. Cook and Dr. Syverson take the time to explain the results of your eye exam, describe your options and listen to your eye care needs. Because maintaining good eye health is an ongoing partnership, we encourage you to ask questions and share your health information, which could be vital to monitoring, diagnosing and treating potential vision problems. Dr. Eric Syverson O.D., M.H.S., F.A.A.O. Dr. Syverson received his Doctorate of Optometry from Indiana University School of Optometry. He then went on to complete a post-doctorate residency in ocular disease at the Cincinnati Eye Institute under the coordination of The Ohio State University College of Optometry. He has received additional training in specialty ophthalmology clinics and sports vision, as well as experience speaking at national optometric conferences and to optometry students. Prior to his optometric education, Dr. Syverson completed his undergraduate studies at Miami University. He also holds a Master of Health Science degree in Biomedical Studies from Grand Valley State University. 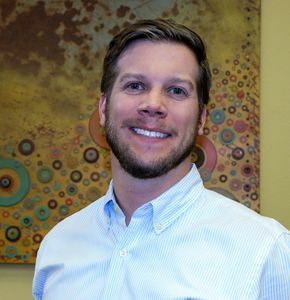 Dr. Syverson is an active member of the Beta Sigma Kappa Optometric Honor Society, American Academy of Optometry, American Optometric Association, AOA Sports Vision Section and the Colorado Optometric Association. 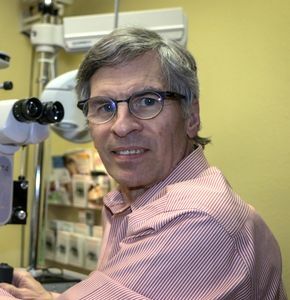 Dr. Syverson first became interested in optometry when his father was diagnosed with a rare corneal disorder requiring specialty contact lenses and a corneal transplant. Dr. Syverson would frequently go with his father to his eye exams, and to his corneal specialist in their home town of Grand Rapids, Michigan. His optometric work is also inspired by his mother and her sincerely amazing patient relationships she grew as a dental hygienist; and his incredible sister who had vison problems after a traumatic brain injury. Outside of Summit Eye Center, you can find Dr. Syverson enjoying time with his brother who lives in Denver, skiing, fishing mountain biking, enjoying the outdoors and coaching lacrosse.